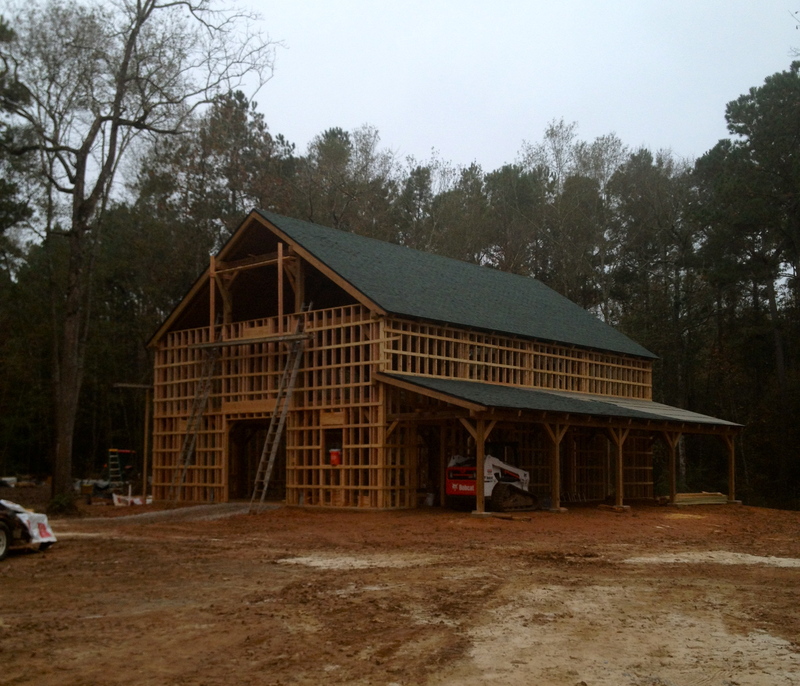 This beautiful horse barn is located in Robert, LA. 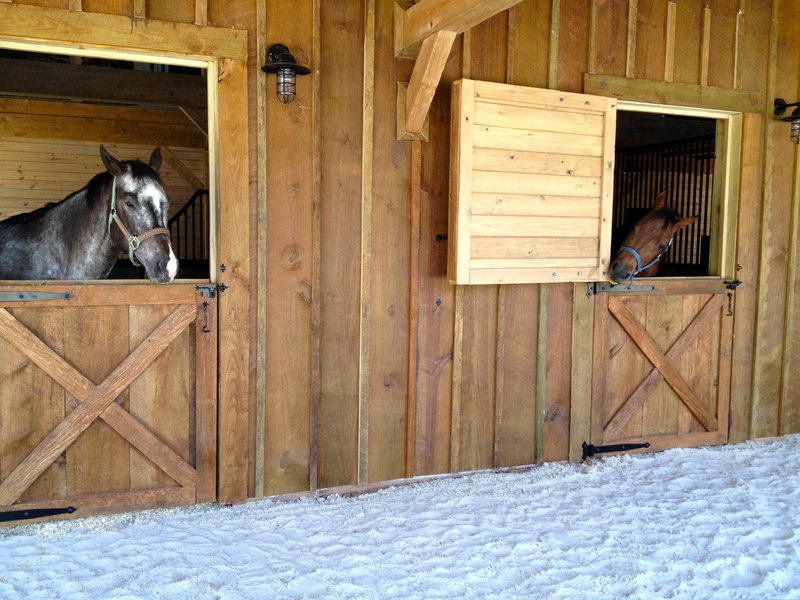 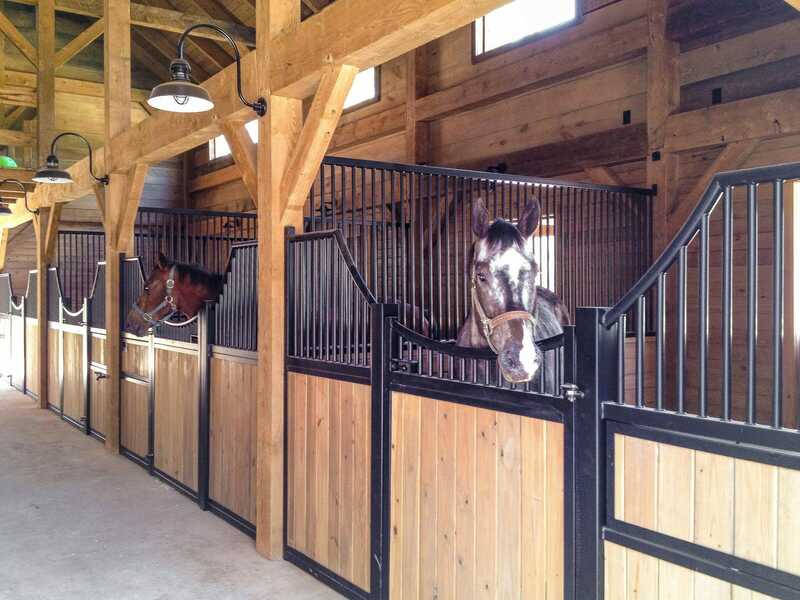 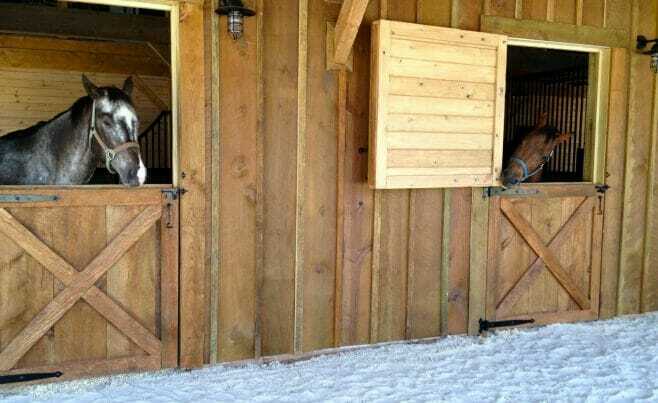 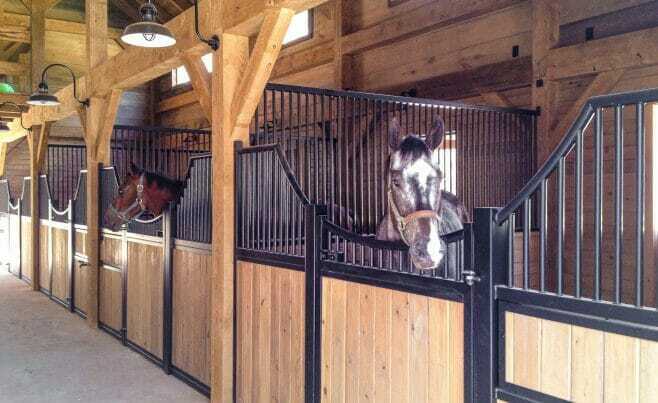 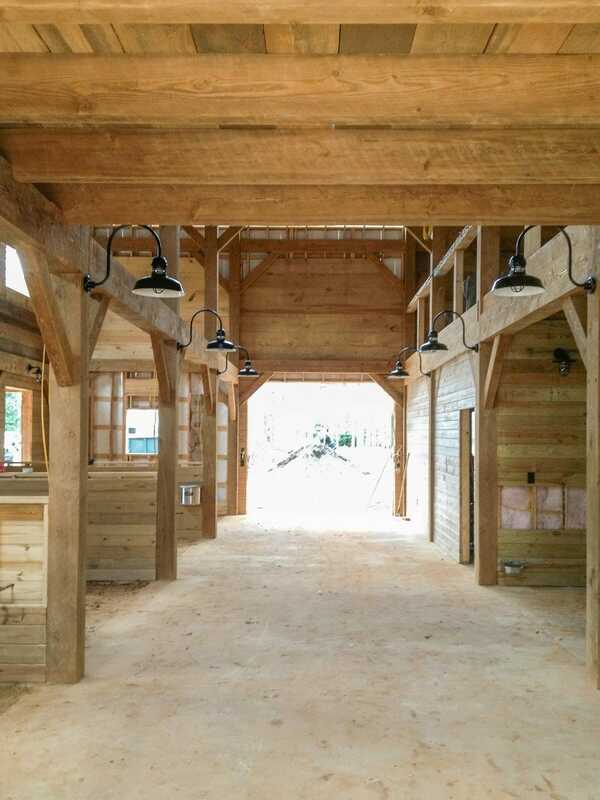 It has 4 horse stalls, a tack room, and an L-shaped loft for storage. 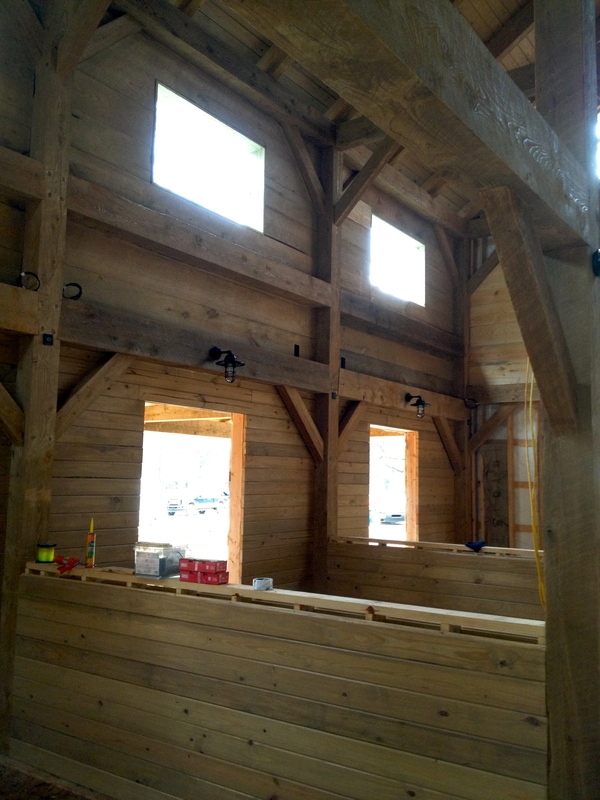 The frame was constructed using mostly traditional joinery, but some of the joints are reinforced with steel. 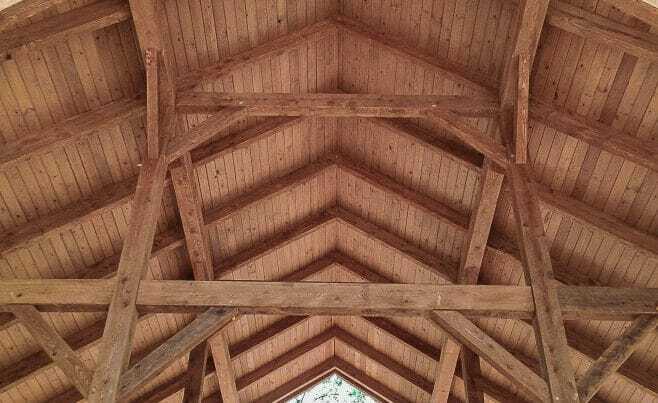 The timber is rough sawn hemlock. 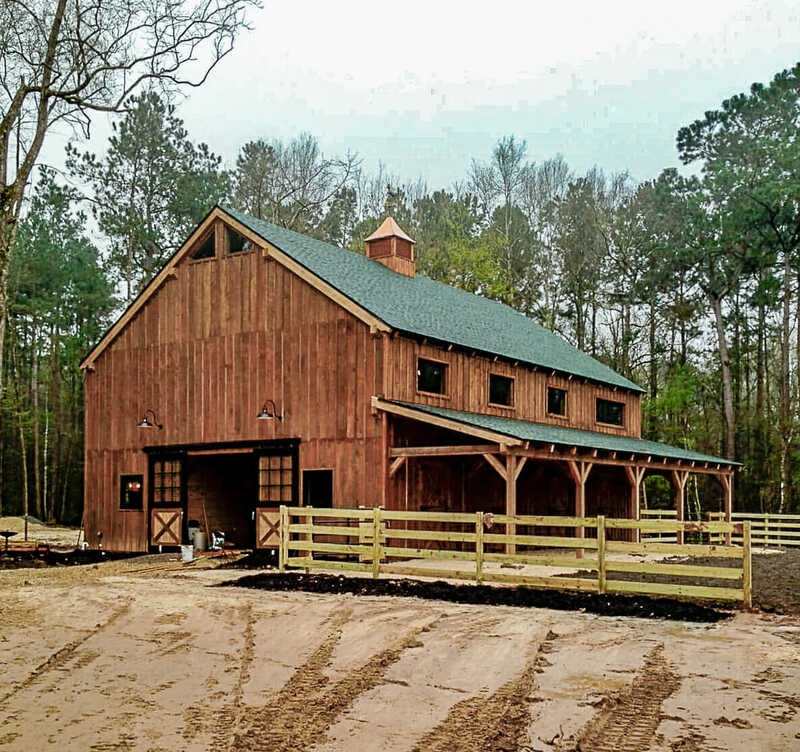 It’s treated with Golden Oak min wax stain. 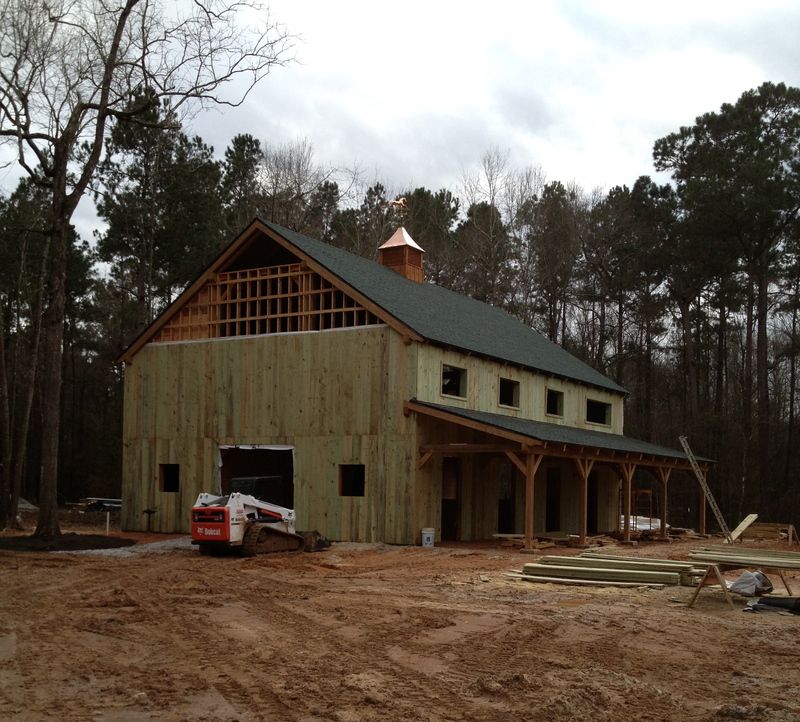 The stain is applied over a coat of Tim Bor, which is an insecticide treatment. 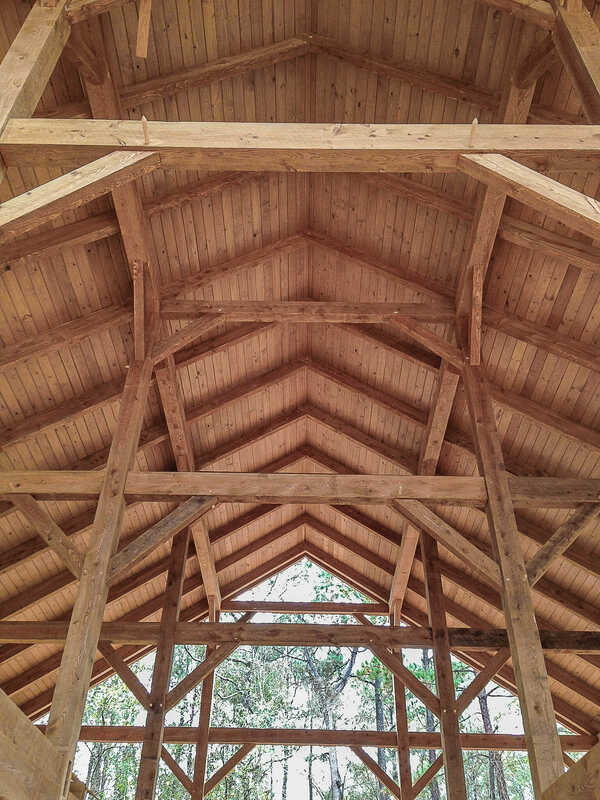 Insecticide protects timber from destructive bugs and fungi. 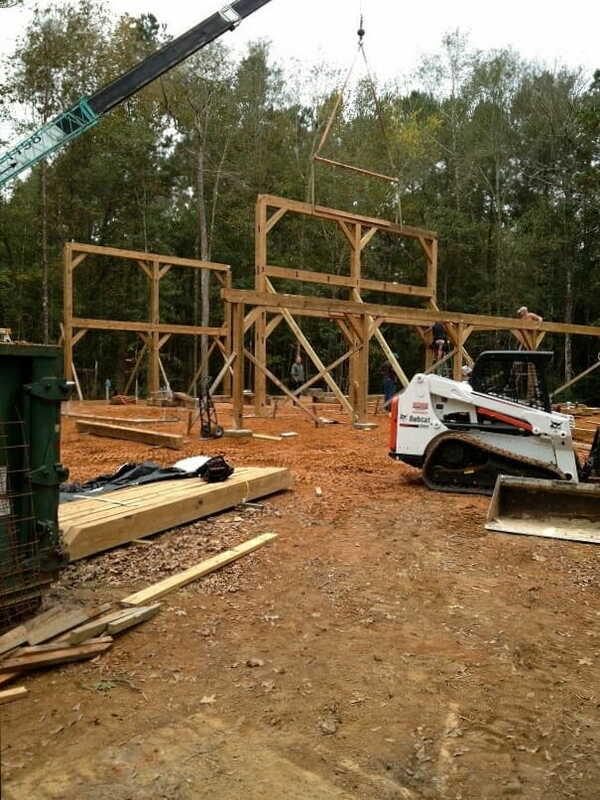 The contract for the frame was signed at the end of July and the frame was delivered by the beginning of November. 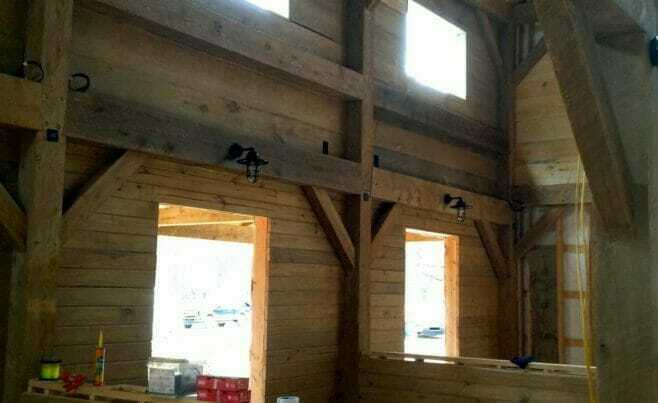 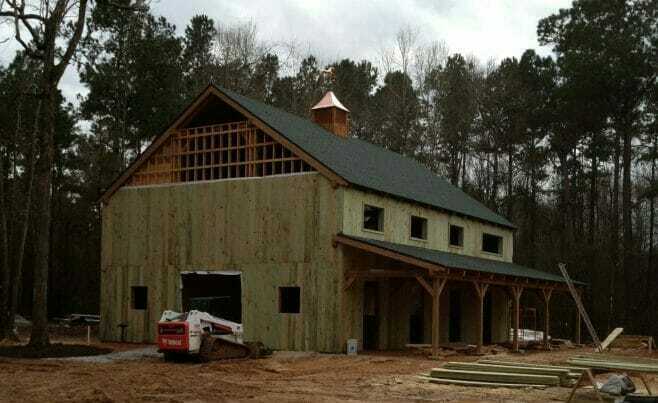 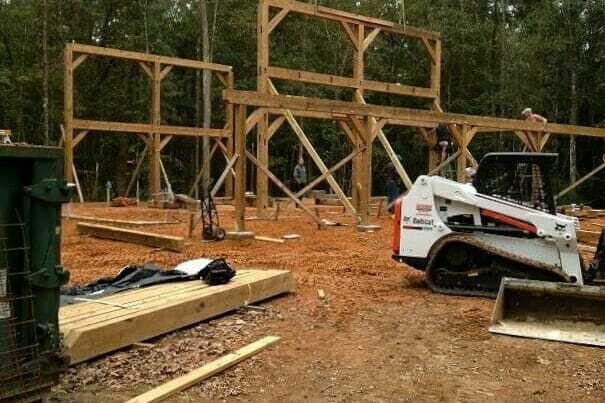 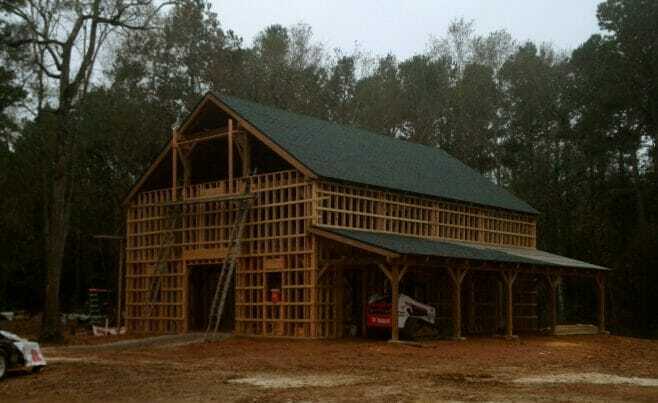 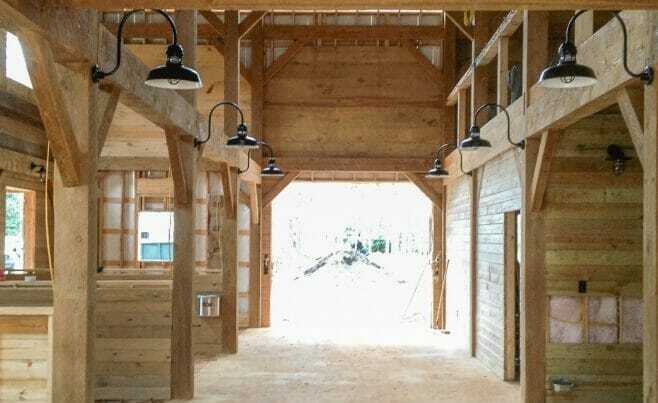 If you like this barn frame, or have any timber work questions, we invite you to get in contact or ask an expert!